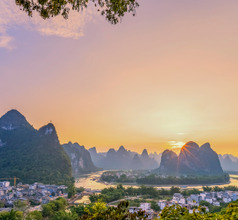 Well-known for its colorful karst rock formations and caves, the city of Yangshuo is a very popular holiday destination for domestic and overseas tourists. 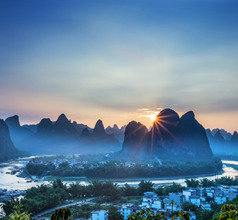 The city is located along the Li River near Guilin City in the Guangxi Zhuang Autonomous Region of China. 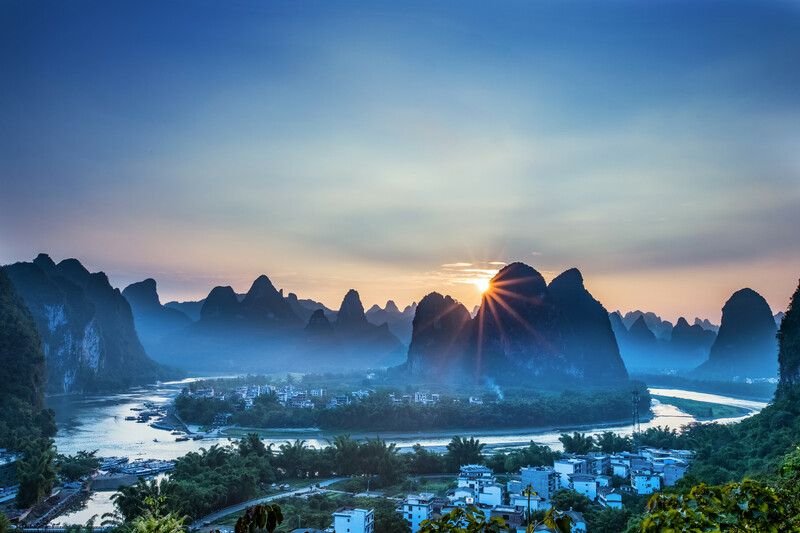 Yangshuo City nestles amongst 2,000 mountain peaks and as many as 16 large and small rivers. The beauty of the landscape has inspired many authors, poets, and painters for centuries. With such a wealth of natural beauty, it is little wonder that the city is one of the major tourist hubs of China. 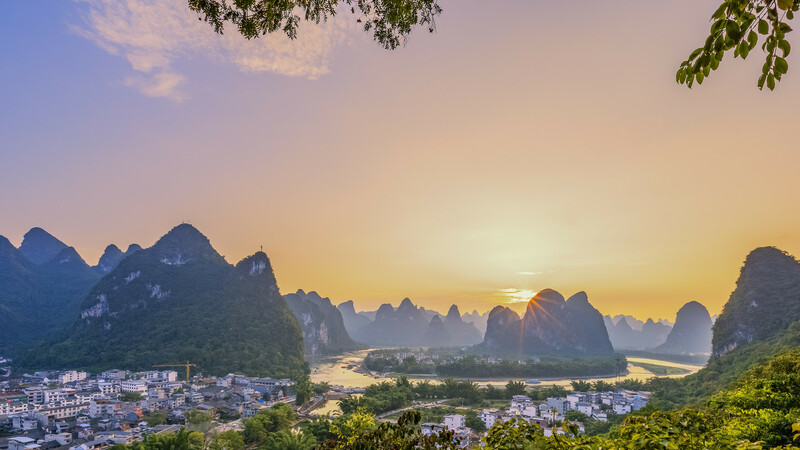 Yangshuo is the perfect place for adventure sports like rock climbing, swimming, bamboo rafting, biking, kayaking, and hiking. 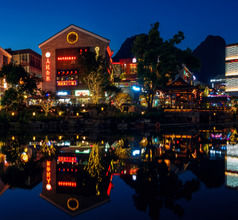 Yangshuo City not only has magnificent landscapes but also has a colorful mix of different cultures. The city is home to more than 11 ethnic minority groups who have lived in the region for centuries in complete peace and harmony. 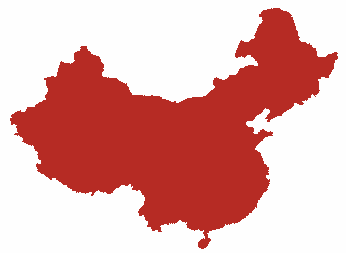 Of these, the Han Chinese, Zhuang, Hui, and Yao ethnicities have a prominent presence. Each ethnic group still follows its own customs, traditions, and festivals adding to the appeal of the city as a tourist spot. 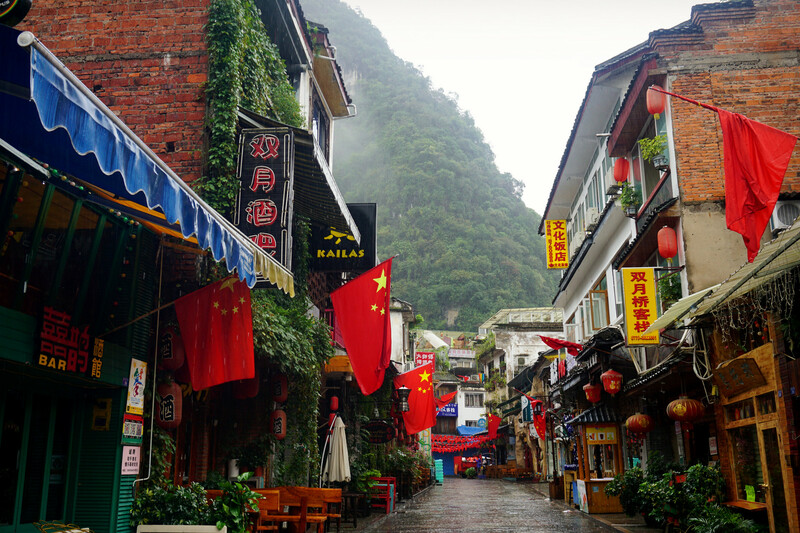 As one passes through the West Street of Yangshuo City, one gets a glimpse of its ancient charm. The city was established in the year 265 AD and the street itself was constructed in 590 AD and has still remained intact! 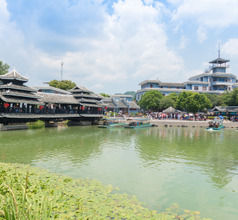 That the city was a popular vacation destination in China since the 1970s is evident from the fact that there is an English Corner where one can find visitors of different nationalities and religious beliefs mingling peacefully. Everywhere one looks there is beauty in and around Yangshuo. There is a huge treasure-trove of scenic areas filled with natural beauty that surpasses belief! Seeing the lush greenery, clear blue skies, pollution-free air, and crystal blue river waters, one gets the feeling of being in paradise. To experience this beautiful region there are boats, rafts, walkways, trekking routes, top-class hotels, and most other facilities that will make visitors feel that they never want to leave! 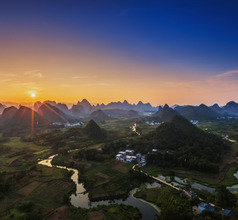 With so many natural treasures to see, the city of Yangshuo has a large number of hotels and other forms of accommodation. One can choose from ethnic-style luxury hotels, 2, 3, 4, and 5-star hotels, guesthouses, inns, youth hostels, and more. The upscale premises have spacious rooms and aesthetic décor that matches most of the famous brands. They provide a full repertoire of amenities like outdoor swimming pools, airport shuttle service, indoor multi-cuisine western style restaurants, organized sightseeing tours, and more. The cheaper accommodation has basic facilities but the premises are usually clean. The English language might prove to be a problem if one chooses budget accommodation so it is best to carry an English-Chinese dictionary. 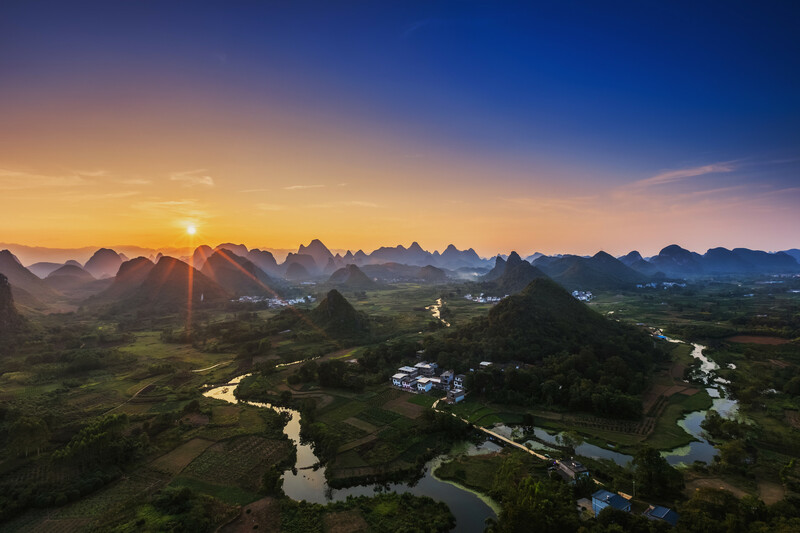 The landscape around Yangshuo City consists of countless hills with colorful karst formations. 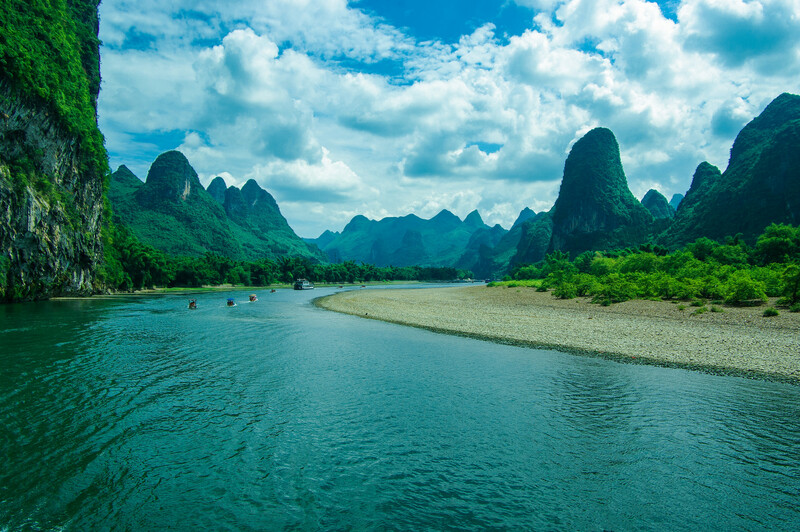 These limestone hills can be photographed from the boats or motorized bamboo rafts that cruise along the Li or Yulong Rivers. The tour operators provide lifejackets so the trips are usually safe. Some tourists prefer to cycle or trek uphill to get panoramic shots of the picturesque green surroundings. There are several scenic spots along the cruise routes. The most popular spot on these hills is the Yangdi-Xingping Scenic Area. This route consists of numerous breathtaking scenic spots like the Wave-stone View, Mural Hill, Xialong Village, and Yellow Cloth Shoal. 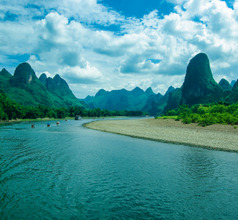 Another scenic area near Yangshuo City is the Yulong River Valley which is best explored by bamboo rafting. This scenic area stretches between the Yulong Bridge and Baisha Town. The region consists of fascinating sites like karst landscapes, beautiful paddy fields, old-world bamboo water-wheels, ethnic villages, and idyllic scenes that seem to have come out of paintings! Similarly, the village of Liugong is also a must-see in the region. To absorb the true ethos of Yangshuo City, a visit to the Yangshuo Cultural Relic Landscape Garden is a must. This garden is well-known for the countless inscriptions, aesthetically designed pavilions, and the natural beauty of its water scenery. The garden consists of three equally beautiful sections, the Ying Jiang Pavilion, the Jungguan Scenic Path, and the Jian Shan Temple area. 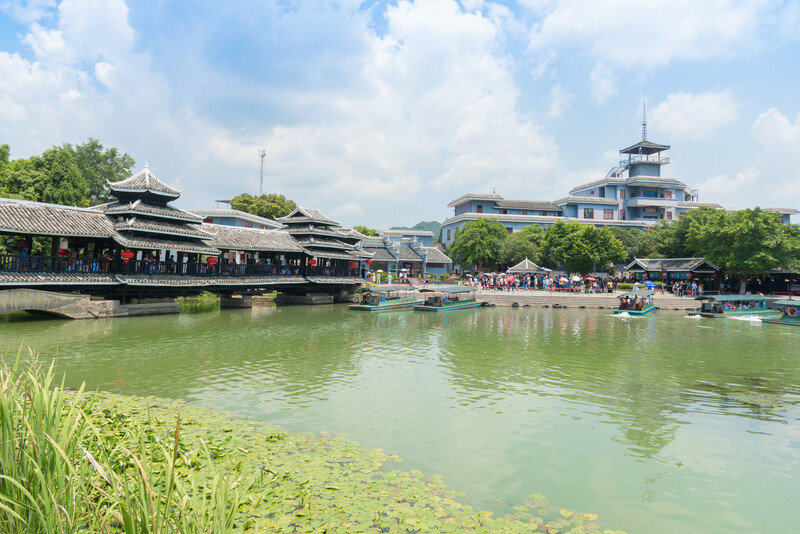 Fuli Town is not only the starting point of the kayaking trips but is also famous for the largest farmer’s market in the city precinct. Tourists love to visit this quaint market with its old-world charm where vendors sell anything from fruits and vegetables to livestock. 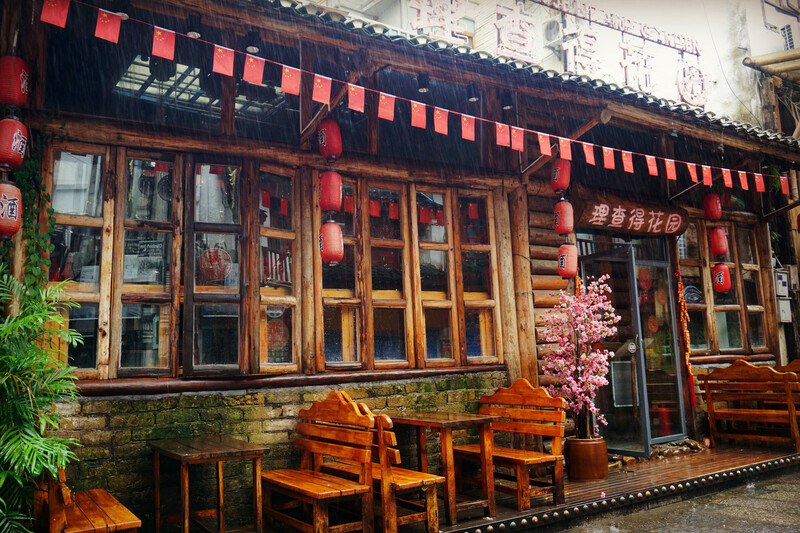 There are several stalls where the dog noodles, a popular dish of Yangshuo is sold. The locals are well-known for making exquisitely hand-crafted rice paper fans. These make great lightweight souvenirs. 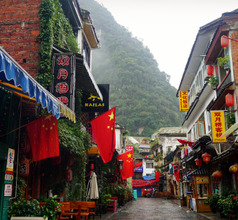 Yangshuo City is the place to be for foodies! The West Street is filled with restaurants serving cuisines of different parts of the world so finding one’s favorite dish is very easy. But while in the city it will be worth trying out their local delicacies because they are famed for their classic methods of preparation and mouthwatering taste. 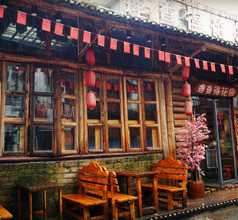 Some of the popular Yangshuo dishes are beer fish, Taro pork and fat roll, pork-stuffed tofu, stir-fried eggplant with chili sauce, tomato and egg on noodles, bitter melon with egg, tomato and egg-noodle soup, stuffed Li River snails, deep-fried fish hotpot, fried Li River shrimps, fish fillet hotpot, Sichuan fish hotpot (spicy), clay-pot steamed rice with stir-fried meat and vegetables, Guilin Noodles, steamed dumplings stuffed with minced chives and pork, pickled vegetables, Yangshuo BBQ, grilled spicy tofu, stinky tofu, Chinese hamburger (with beef stuffing), stir-fried pumpkin (at the Farmer’s Market), etc.